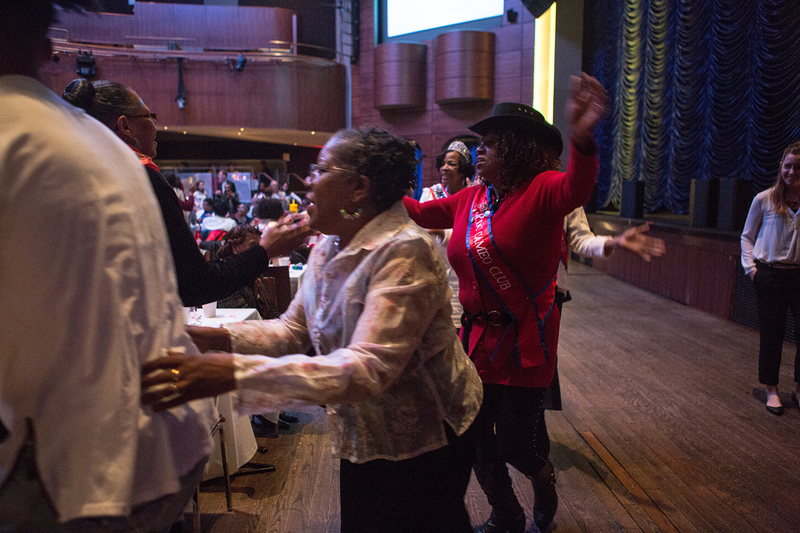 With the Chuck Brown classic “Bustin’ Loose” pumping through the speakers and filling the Howard Theatre with funk, Constance Howard had to get up and dance. Forget her four hip surgeries. Forget her four-wheeled medical walker. After rolling her way to the dance floor, Ms. Howard grooved to the go-go beat, clutching one of her handlebars and living up to the song’s title. 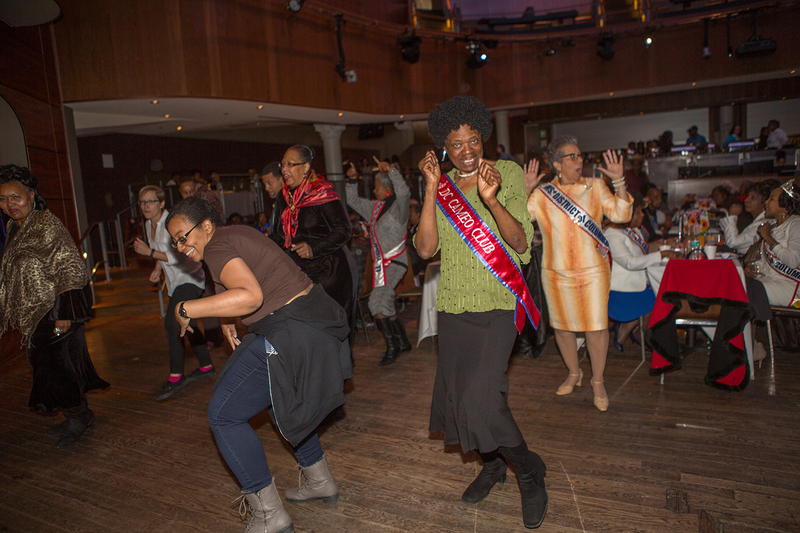 Ms. Howard was among the more than 200 older District residents who gathered for the 14th annual Senior Prom on Saturday. 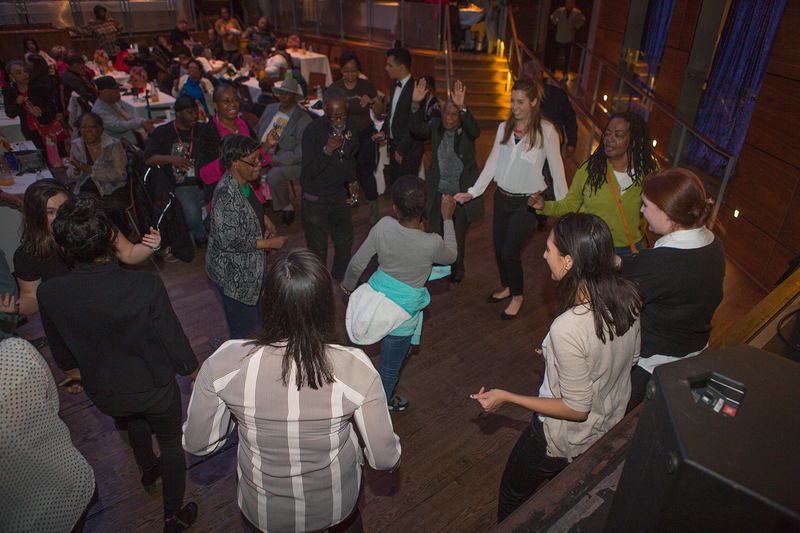 Organized by the Office of Government and Community Relations, the event connects local seniors with George Washington University students. Also in attendance were D.C. Councilmembers Brianne Nadeau (D-Ward 1) and Brandon Todd (D-Ward 4). “I have to tell you, this prom is a lot less awkward than the last prom I went to in high school,” Ms. Nadeau told the crowd. Also energized were the dozens of GW students who helped put on the event, including emcee Chelsea Lenhart, a graduate student at the Trachtenberg School of Public Policy and Public Administration. Adding to the allure this year was a change in venue from the usual on-campus ballroom in the Marvin Center. 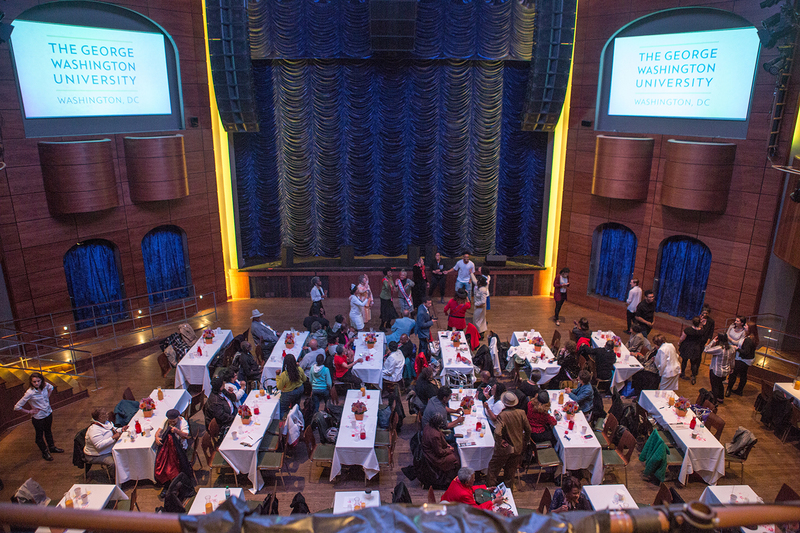 The historic Howard Theater holds a special place in the hearts and minds of many longtime D.C. residents. Two who may have had the most fun, and perhaps burned the most calories, were dance partners Richard Crutchfield, 84, and Minnie Taylor, 77. Five years ago, they were named the king and queen of the Senior Prom. The annual awards are presented to those who participate most enthusiastically on the dance floor. 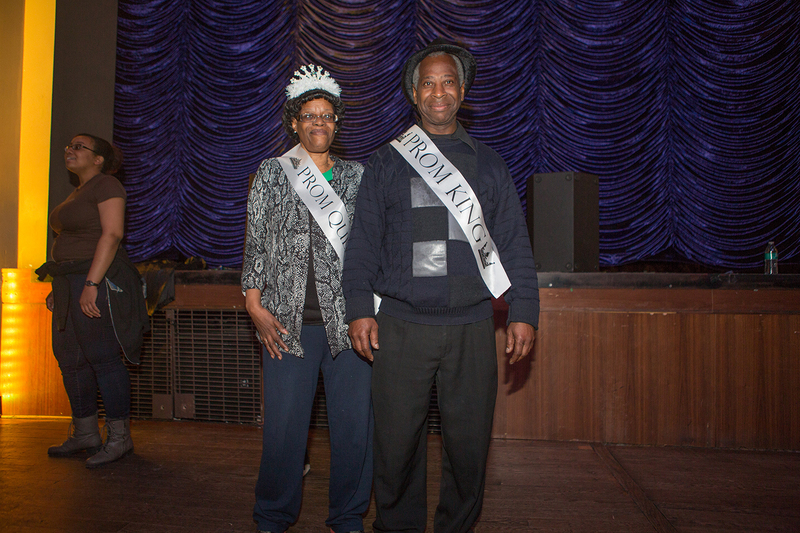 This year’s winners were Evelyn Spencer, 64, and Jermiah Bryant, 59, who celebrated his honor with a moonwalk. 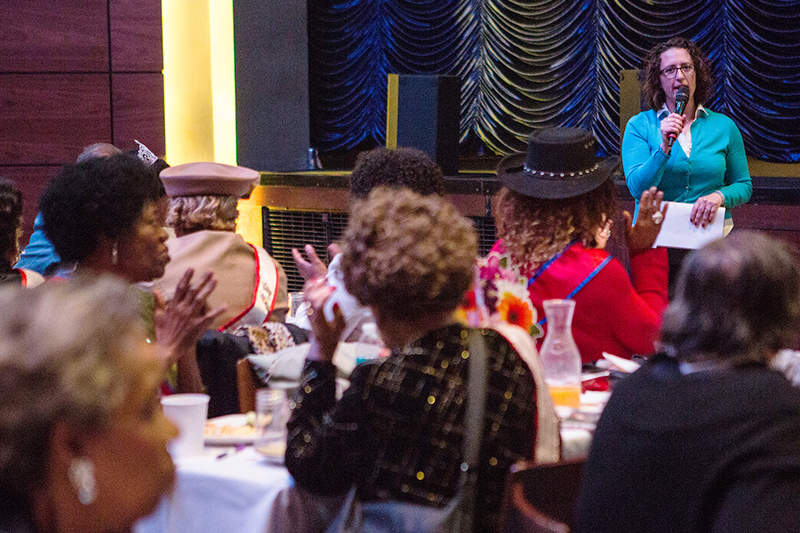 D.C. Councilmember Brianne Nadeau (D-Ward 1) address some of the more than 200 older District residents who gathered for the 14th annual Senior Prom on Saturday.